As we take a step back and understand what goes into an effective logo design, we can see that a logo is more than brand identification. It is the face of a brand that can ultimately influence emotions and the culture on a personal and global scale. We can look back through history at one of the most influential graphic designers; Saul bass, to understand his philosophy and approach to design. We can then take away some pointers as to what goes into an effective logo design. On a surface level, a logo is a combination of text and/or shapes that is used to define a business. However true this may be, there is much more depth to a logo than one may perceive. Logos are a key aspect of a company’s brand communication. A logo can be so powerful, that it can even replace a brand name. For instance; Nike and McDonalds only need to display their logos (without text), and their brand is immediately recognized by most of the world. Visual communication involves the process of communication and persuasion and the shaping of cultural value. It is generally assumed that simple elements are easier to remember than more complex elements. A study conducted by van Grinsven and Das has shown that even more complex logos can become effective with increased exposure, leading to higher recognition (Grinsven & Das, 2014). A business wants to start at the gate running – not have to gain recognition in order for the public to appreciate the logo. As a logo designer and student of design, I have taken examples from master logo designers such as Paul Rand, Imran Mir and Saul Bass who have all designed the most simplistic and effective logos to date. These incredible artists have defined not only brands, but have also shaped cultures. 1 – Simplicity is key. A logo must be able to be scaled small without becoming muddy. The human mind is full of thoughts and clutter, and we do not have time to remember complex patterns, thus a simple logo is always more memorable. 2 – A great logo should never be confused with another logo. This leads to brand confusion, as well as the perception of being a second-rate business. Some excellent businesses have made poor choices in logos. Take PayPal and Pandora for instance. Those are two apps of many that I consistently incorrectly click on, due to a case of mistaken identity. 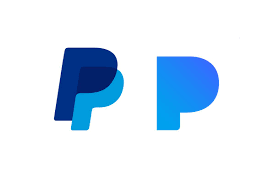 Read an interesting article on theverge.com about their lawsuit over a copied logo: Paypal vs. Pandora – Logo Lawsuit. 3 –Comprehensibility is a must. If your company manufactures dog treats, it would be a good idea to have a dog-related logo. Having a misleading symbol such as a computer, or wings would lead to brand confusion. 4 – A good logo will make people think and feel. Psychology plays an integral role in what we like and dislike. Nike’s logo for instance gives a feeling of propulsion and energy due to its upward trajectory, as well as a positive feeling due to its “checkmark” like shape. Amazon’s logo has a forward pointing arrow from “A – to – Z”, as well as the arrow shaped like a smiley face. Who doesn’t love a smiley face? 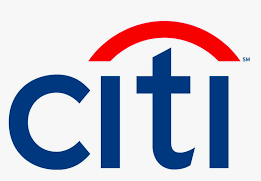 When I look at the citi logo, I immediately see a red frown, and no longer see the intended umbrella of the citigroup of old. Aside from blasting to fame designing the most iconic film titles of all time; Saul Bass is arguably the most successful logo designer of all time as well. His work clearly depicts his ability to simplify ideas to their maxim; all the while retaining the integrity of the representative brand. Steven Heller further describes Bass’ style as influenced from “angular, abstract elements in German Expressionist design” (Heller, 2005). I love logo design. Subia (see about page) has heard it from me time and time again that if I could choose one type of work to do for the rest of my life, it would be logo design. Although I am no Saul Bass. I have designed hundreds of logos for companies that range from “mom and pop” stores, to multi-national corporations. As a logo artist, I am not world renown or even deserving of the title by any means. I will reaffirm my self-awareness that my design and approach is far from a Saul Bass or Imran Mir; but I try and I love trying. Some logos I have designed and redesigned over my career. Also, check out a quickly put together presentation for the Voicebowl Magazine logo (not meant to be public, but I touch on some interesting points). As Yang et al., described visual design communication, I also feel that it is a graphic designer’s purpose to bring more to the customer than a few good-looking designs. An effective logo should be accompanied with a complete integrated marketing and branding concept. A logo that will live past a decal on a truck, or stamp on a VistaPrint business card. It should provide a glimpse into the future of the business; where the business wants to be in 10 years – a cultural icon that can stand the test of time. It is true that 99% of the time, the customer will not understand, none-the-less appreciate the efforts of an artist, but there is a method behind the madness. The method is to communicate a strong message to the observer; which will provoke thought or draw emotion. Grinsven, B. v., & Das, E. (2014). Logo design in marketing communications: Brand logo complexity moderates exposure effects on brand recognition and brand attitude. Journal of Marketing Communications, 256-270. Heller, S. (2005). meet the new bass, same as the old bass. print, 22. Yang, C.-M. (2017). New Perspective on Visual Communication Design Education: An Empirical Study of Applying Narrative Theory to Graphic Design Courses. International Journal of Higher Education, 188-198.